La semana que pasó la televisora norteamericana CNBC, en su espacio On the Money dedicó un reportaje acerca de la actualidad de la disquera Fania, que el año pasado cumplió medio siglo de creada. En el reportaje se cuenta el significado de la Fania para los latinos durante el siglo pasado y el trabajo que vienen haciendo, quienes tienen el catálogo hoy en día, por volver a hacer rentable el material con que cuentan, utilizandolo en re-mixes y compitiendo en la era digital de la música. 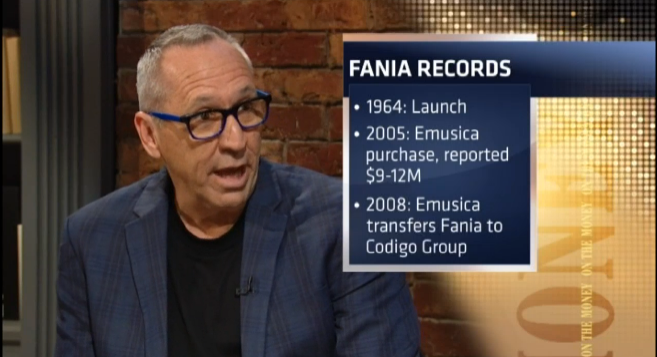 Fania fue comprado el 2005 por Emusica en un monto calculado entre US$ 9-12 millones y el 2008 fue transferido a Codigo Music. En la nota participan Joe Claussell, quien está a cargo de las mezclas del antiguo material con sonidos electrónicos y Michael Rucker, actual director de Marketing de la disquera quien recuerda cual fue su sorpresa cuando Codigo Music compró Fania y se enteró conque las grabaciones originales "se habían perdido". Estas grabaciones (alrededor de 4000) fueron accidentalmente encontradas en un almacén de Hudson Valley y tienen, para Rucker, un valor incalculable. Before it fell on hard times, Fania Records was once the 20th century's Latin music's equivalent to the "Motown" label. The label's 50-year journey from cultural touchstone to obscurity—and now back to making money—was driven by a commitment to answering one question. "Are we making them dance?" asked Michael Rucker, Fania's chief marketing officer, in an interview. Rucker is sitting with House DJ and producer Joaquin "Joe" Claussell on a re-mixing session of a decades-old recording by Puerto Rican vocalist Tito Ramos. With the original multiple recorded tracks available to him, Claussell demonstrates how Fania has carved a niche for itself in the new digital music order. The veteran music mixer can reorder all the isolated pieces of a single song—horn sections, solo and group vocalists—and add new electronic material or live musicians to offer a modern interpretation. "It's a perfect example of taking the best of the past with the best of today to create something new," said Rucker. After years of being off the radar, Fania Records is experiencing a rebirth. The label is employing a host of strategies like re-mixing new versions of songs for live dance events, making its classic catalog available for digital download, and partnering with Spotify to create the first Latin music app. For the first time in decades in 2013, Fania is actually profitable. In the early 1980s, when the label essentially went dormant and before physical sales of albums ground to a virtual halt. Founded by Dominican bandleader Johnny Pacheco and lawyer Jerry Masucci in 1964, Fania rose to prominence alongside the salsa style made popular by musicians from New York's diverse neighborhoods of Latin American immigrants and their extended families. 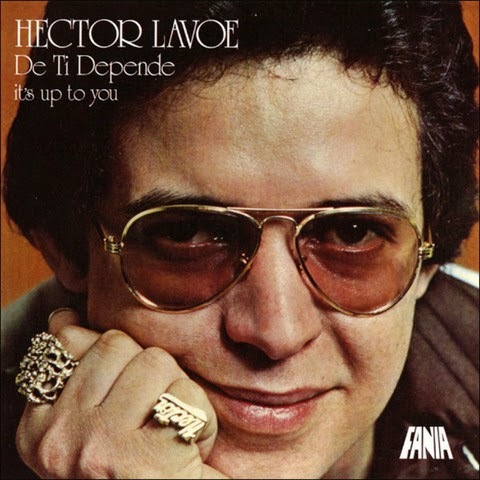 At one point, the label was a clearinghouse for some of salsa's biggest names, including Cuban "Queen of Salsa" Celia Cruz, as well as Hector "El Cantante" Lavoe. "It was a powerful movement" said Claussell. "And it instilled hope in the youth in the urban Latino neighborhoods. They were inspired by this music"
Claussell grew up in a musical family of Puerto Rican heritage in Park Slope, Brooklyn. "At home, we listened to all kinds of music, but Fania was the heartbeat," he recalled, citing artists like Cruz, Willie Colon and Ruben Blades. The now deceased Cruz was one of several big name headliners in a global concert tour in the 1970s dubbed the "Fania All-Stars." "We always knew the value of this catalog," said Rucker, who has been with Fania since the original catalog and music rights were released from probate court. That followed the death of one of Fania's founders, resulting in the label's purchase for a reported $9 to $12 million by a group of investors in 2005, assisted with financing by Morgan Stanley. The current owners, Miami-based Codigo Music, purchased Fania in 2008. After painstakingly cataloging and archiving the label's nearly lost material, Codigo sought new revenue streams that positioned the music itself as a commodity, rather than producing vinyl albums or compact discs with less opportunities to earn money. In the first six months of 2014, sales of physical recordings made up just 28 percent of the music industry's total revenue, according to the Recording Industry Association of America. Streaming revenue was 27 percent, while permanent downloads comprised 41 percent. With that in mind, Fania's future—and its path to profitability—became clear. "We made a concerted effort to focus on the digital space, and it's the best thing that ever happened to us," said Rucker. "The world became our market." 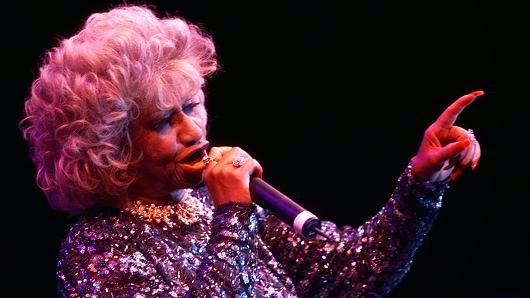 Rucker described Fania's assets as being in complete disarray when the label was first bought out. "What we found out later is that there was a receipt for a storage unit up in the Hudson Valley, and so we sent someone to go check out that storage unit." Surprisingly, the unit housed close to 4,000 original recordings on fragile tapes from the 1960s and 1970s, which were sitting untouched and collecting dust. These included multi-track recordings that have since been reinvented for a series of "Armada Fania" dance events that took place in New York City in the summer of 2014, and will soon travel to other markets. Today, the top sources of Fania's revenue are partnerships with Sirius/XM, advertisement sharing with YouTube and licensing to Spotify and other streaming services. Fania recordings are downloaded by fans as far flung as Japan and Eastern Europe. "I was in Croatia and, on a Friday night in the town square, they were dancing salsa," said Rucker. The digital revolution allowed Fania a second chance, and the opportunity to connect with younger consumers who may not be aware of Fania's legacy as a mainstay of Latin music. "People enjoy the experience, and it's a feeling and then it becomes a memory," said Rucker. "And so what you have here are a lifetime of memories for many people and a future lifetime."